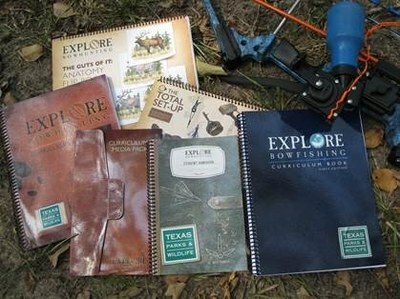 Developed by the Archery Trade Association (ATA), Explore Bowhunting and Explore Bowfishing are interactive programs designed to help instructors, program leaders and educators teach students the basic skills of bowhunting and bowfishing. These programs are safe, highly adaptable (can be done inside and outside) and a great fit for any education program. They are focused on introducing conservation concepts through practical lessons to strengthen students’ appreciation for ecosystems, the environment and outdoor activities. Texas Parks and Wildlife Department has partnered with the Outdoors Tomorrow Foundation (OTF) to introduce these programs into schools and recreation centers across the state of Texas. Current Texas Hunting, Fishing and Boating Regulations. For information regarding the program for a for-profit organization please contact ATA.